• Independent arrival to your hotel. • Welcome drink and free time. 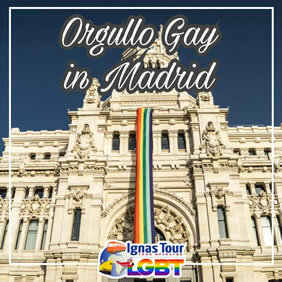 • In the late afternoon Meet & Greet with your LGBT Tour Leader at the hotel and exclusive aperitif in a LGBT Friendly location in Chueca district, the real area of Madrid LGBT nightlife. • Aftewards welcome dinner at a local restaurant. • Rest of the night free for party. • Overnight at your hotel. Rainbow Tips: We can provide you Private Transfers with special prices! Rainbow Tips: Want to arrive earlier? Enquire about extra nights! *Subject to availability. • Breakfast at the hotel. • Together with your LGBT Friendly Tour Guide, discover the magic and the secrets of the Rainbow city! • Short morning walking tour through the Capital City of Spain, starting from the Puerta del Sol, the heart of the capital and Madrid’s main square, soaking into the imperial Madrid walking the main street of Calle Mayor, where you will discover some of the oldest buildings in Madrid as Torre de los Lujanos, palaces of the XVI and XVII centuries, as well as two of the most beautiful squares in Madrid: Plaza Mayor and Plaza de la Villa, and beautiful examples of XIX century architecture as Mercado de San Miguel. • Immerse yourself into the famous Plaza de España. • Visit the Madrid of the Bourbon dynasty, an area presided over by the incredible Royal Palace, which is the largest functioning palace in Europe. Enjoy the gardens of Plaza de Oriente designed by Napoleon´s brother. See the Royal Theater and take in the beauty of the buildings surrounding the Palace, inspired by French architecture. Lunch on your own to taste local specialities or Spanish street food. • In the afternoon be ready to celebrate! Get part of this amazing and peacefull battle for equal rights against any kind of discrimination. 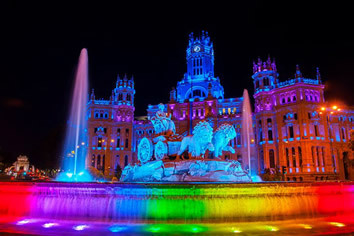 In 2018, we will celebrate the 41st anniversary of Spain’s first Pride Parade in 1977, which marked the beginning of the gay, lesbian, transgender and bisexual rights movement in our country, which was in the full transition process towards democracy after 40 years of dictatorship, being the LGBT community one of the most affected by the repression of the regime. 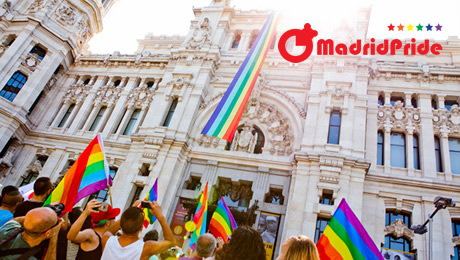 • Celebrate the biggest Pride Parade of Spain. • In the evening free time to delight your tongue with dinner. • Afterwards don’t lose the opportunity to dance the night away with your new friends at a LGBT Party in one of the most popular LGBT disco of the city. 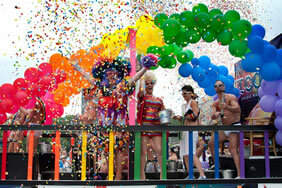 Rainbow Tips: We can provide you Exclusive Tickets for LGBT Discos with special prices! 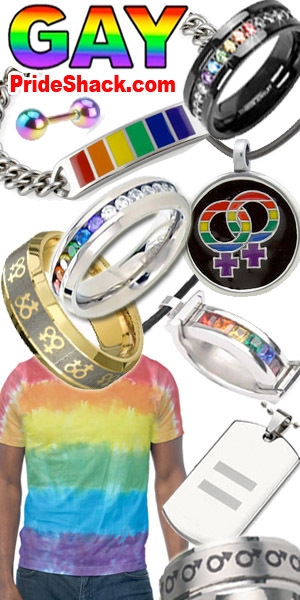 Rainbow Tips: Live the vibrant LGBT atmosphere in one of the many pubs like Why Not? or Delirio. Rainbow Tips: Want to stay longer? Enquire about extra nights! *Subject to availability. 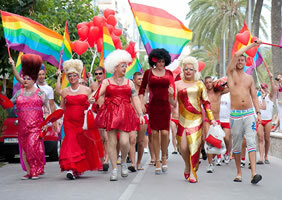 We have selected a LGBT Friendly Hotels near the main gay and lesbian areas of the city. All our properties are personally inspected by Ignas Tour purchasing department to assure that the level of service is always up to Ignas Tour’s high standards. Please note that city taxes are not included and have to be paid by the guest directly to the hotel at the time of check in. The amount of the taxes depends on the category of the hotel and length of stay. Prices are per person in EUR. Payment card charges may apply.